Scott Seaman is Co-Chair of the firm's National Insurance Services Practice Group. The group has earned a Band 1 ranking in Chambers USA: America's Leading Lawyers for Business, Insurance: Dispute Resolution Illinois and a National Tier 1 rating in the Best Law Firms list published by U.S. News – Best Lawyers as well as Tier 1 regional ratings in Chicago, Los Angeles, and Miami. As a commercial litigator and trial lawyer with more than 31 years of experience, Mr. Seaman has had the privilege of working with some of the most dedicated and talented senior management, legal counsel, and insurance and reinsurance claims and litigation professionals in the world and of serving as counsel in precedent setting cases involving some of the most challenging contemporary coverage and reinsurance issues confronting the insurance industry. Mr. Seaman has a long track record of successfully representing companies before trial courts, appellate courts, and arbitration panels across the country in a variety of high stakes cases and matters involving general liability coverage (primary, umbrella, and excess), professional liability coverage, first-party property coverage, bad faith and extra-contractual matters, fee disputes, and facultative and treaty reinsurance contracts. He has served as national coverage counsel as well as trial and appellate counsel. Scott also provides advice to companies on emerging issues and on a wide-range of case specific and portfolio issues. He has drafted contract language, trained insurance and reinsurance professionals, and assisted companies in evaluating and resolving issues in the claims stage. Scott also has handled a variety of challenging international, professional liability, director and officer liability, tort and product liability, and business and commercial cases. He has been consulted on underwriting issues and retained as an expert on insurance issues. In addition to serving as Co-Chair of the firm's National Insurance Services Practice Group, Mr. Seaman also serves on the firm's Executive Committee. Prior to joining Hinshaw & Culbertson LLP, Mr. Seaman was a partner in a litigation firm headquartered in Chicago, where he served as chairman of that firm's national insurance coverage litigation and counseling practice. He began his legal career at Skadden, Arps, Slate, Meagher, and Flom and was a member of that firm's national products liability and insurance coverage practice group. Mr. Seaman is a prolific author, writing on a variety of substantive legal issues as well as on litigation practice matters. His treatise, Allocation of Losses in Complex Insurance Claims (7th Ed Thomson Reuters 2018 – 2019), addresses many of the important issues driving contemporary insurance claims and coverage litigation and reinsurance cessions and arbitrations. Mr. Seaman graduated first in his law school class and was a recipient of the Illinois Lawyers Auxiliary Scholarship, the Loyola Leadership and Service Award, the Chief Justice Roger B. Taney Award, the Judge John C. Hayes Award, the Thomas L. Owens Award, and the Judge John V. McCormack Award. An asbestos reinsurance case resulting in a landmark allocation ruling by the New Jersey Supreme Court. An asbestos and environmental coverage action resulting in a key number of occurrences ruling by New York's highest court. A Delaware Supreme Court decision enforcing tobacco exclusions. Multiple non-products coverage and asbestos bankruptcy matters. A Florida appellate court decision affirming a ruling that defective construction is not an "occurrence"
A reversal of an $11 million bad faith/punitive damages verdict in California. An Illinois environmental coverage action resulting in a favorable late notice ruling and a Supreme Court decision finding that insurers' due process rights were violated. Rights and obligations in connection with a multi-billion dollar reinsurance pooling arrangement. Mr. Seaman has been quoted in numerous publications ranging from The Wall Street Journal, to Crain's Chicago Business, to Law360, to Carrier Management. Mr. Seaman is a sought after speaker on insurance, reinsurance, business law and litigation issues. He hosts Hinshaw's Insurance Law Radio airing on the Blog Talk Radio Network. 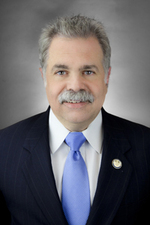 He has chaired and co-chair conferences for and has presented to and on behalf of many organizations, including: the American Bar Association, the DRI, the Illinois Institute for Continuing Legal Education, ARIAS US, Claims and Litigation Management Alliance, the Illinois State Bar Association, the Chicago Bar Association, PLRB/LIRB, Lorman Education Services, the Bermuda Bar Association, Strafford, Perrin, the Claims Litigation Management Alliance, the American Conference Institute, and West Legalworks. "The Bellefonte Cap Returns," Best's Review, August 2016. "The Latest Developments in Insurance Bad Faith Litigation," DRI 2016.